Happy Father And His Son Outdoors. 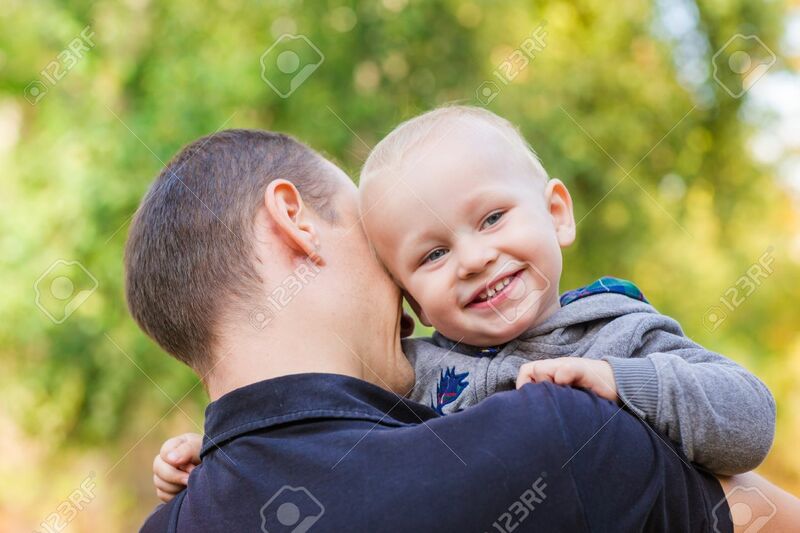 Child Hugging Daddy And Looking Out Behind His Back Royalty Free Fotografie A Reklamní Fotografie. Image 47170040.